An African family with two little girls under the age of 4 and a third child on the way need your help. They are fighting the threat of deportation to their home country which would put both of their little girls in danger of female genital mutilation (FGM). FGM is a ritual that takes place in some countries that involves the cutting or removal of some or all of the external female genitalia. If the family is forced to return home, there is a high risk that the local community would force the family to have FGM inflicted on the little girls. This would violate their human rights and put their physical and mental health at serious risk. If they are deported and refuse to have FGM carried out on their children, they will be ostracised from their communities and the girls will face stigma and difficulties to marry and integrate later in life. 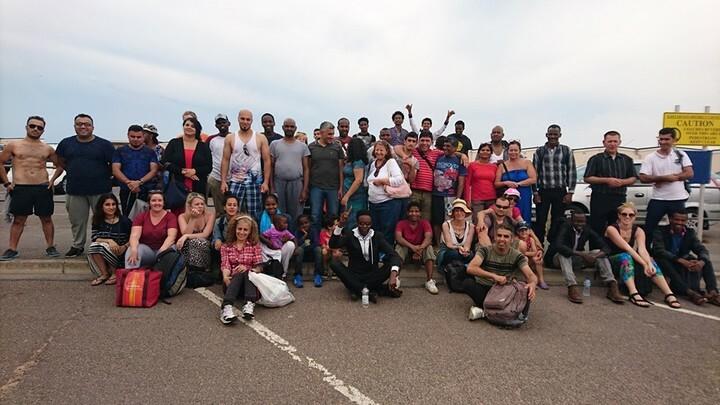 The family applied for asylum in the UK in the search for a safer future but their case has been refused, and their situation has been unresolved since 2014. Since then, the family have remained in limbo, living in destitution and the threat of deportation has resulted in anxiety and poor mental health for the family. We need to raise a total of £1,500 to cover the solicitor and barrister fees involved with the appeal. These fees have been lowered at the discretion of the solicitor, as he has been working with the family for some time now and he sympathises with their case. The family have lived in the UK for 17 years now and have made it their home. Their little girls were born in England and also see it as their home - they do not know any other country or culture. The family has integrated into British culture, become a part of the local parish and are valued members of the Borderlands community. The parents volunteer in their spare time, including at the local farm which benefits local agriculture and food production in Bristol. This young family needs your support to ensure they can continue their lives here and to keep their children safe from this highly dangerous, damaging and traumatic procedure. April Humble is Director of Borderlands, a charity working with refugees and asylum seekers in Bristol, and has been working in the field internationally for 10 years.